I don't like taking supplements. I feel that gaining weight and strength naturally is the best way. And by the way I'm not a body builder. But due to my natural genetic build, I have very high metabolism and it nearly take entire month to gain 5 pounds, even if it mean eating just fat and carb for 30 days. And the worst part, I can lose 15 - 20 pounds in a week if I wanted to very easily. I came to a decision where I needed to make changes to my body. I needed to go heavy on work out and start taking a supplement that gives natural boost. Initially I took MuscleTech MesoTech. After taking it for a while effectively, I did gain about few pound on muscle and lost some fat, more gain on muscle of course. One thing I didn't like about mesotech was that though my muscle got bigger than before, it wasn't hard rather it was big and soft and few increase in strength. It was time for another change. I did some research and decided to take ON 100% Whey Protein. After using a 5 lb bottle 3 to 4 servings a day, I got leaner and definitely more muscle definition with harder muscle. As a matter of a fact, I gained too much muscle mass, I cut it down to 2 servings a day, 1 as soon as I wake up, and another 30 minutes before a work out (I work out twice a day, 1st thing in the morning and after my work). 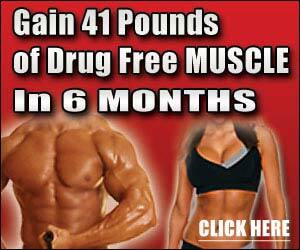 Using it for my 1st month, I gained about 7 pounds of muscle mass, and with proper work out I lost 4 lbs of fat. This is a change. I feel stronger and more confident. Another best thing is that from benching max 225 lb, now I can bench about 245 lb max in 3 weeks. Hard muscle, lean mass, and noticeable strength, this is the best protein shake for me. This protein rocks! It is great quality protein powder and nothing else. While other protein powders come loaded with artificial sweeteners, flavors, and other ingredients, this product is all natural. It mixes very easily in a shaker or blender. The vanilla flavor doesn't taste great (it doesn't have much of a taste at all), but it's certainly tolerable. If you need protein without the fluff, look no further. It works and its the best protein all around for results, price, and taste. i've tried several proteins , On's gold standard ( all flavors ) and i've always had acne problems. I switched to On's Natural whey and i had no skin problem anymore !